St. Tammany Parish Councilman Reid Falconer formally announced his bid for the state House on Monday. Falconer will be running the 89th district, which is currently held by State Rep. Tim Burns* (R-Mandeville). The district consists of Mandeville and Lacombe in St. Tammany Parish. Falconer, who acknowledged in January 2014 that he would seek the post, stressed his experience. He served as chairman of the council in 2014 and represented the parish on the Regional Planning Commission, helping secure nearly $43 million in state and federal funding for major roadway improvements in the parish, he said in a news release. While serving on the council, 18,485 feet of roads were paved in the Mandeville area, $1.3 million was spent to rebuild the Woodridge Canal and $2 million was allocated for a drainage basin study and anticipated improvements in Covington Country Club and Riverwood subdivisions, according to Falconer’s announcement. Falconer is part of the cabal of St. Tammany politicians who have pandered to the anti-fracking mob. Despite the fact that there is no evidence to support claims that fracking pollutes ground water, anti-fracking mobs have tried to stop a project by Helis Oil & Gas Co. to drill a well near Mandeville. In this test of a leadership, a real leader would tell the mobs to go away and come back once they’ve learned actually something about fracking. Instead, Reid Falconer decided to play to the mob. Falconer wrote a letter to the Army Corps of Engineers opposing the granting of a wetlands permit to Helis. Falconer also tried whip up the mob into sending their own letters. 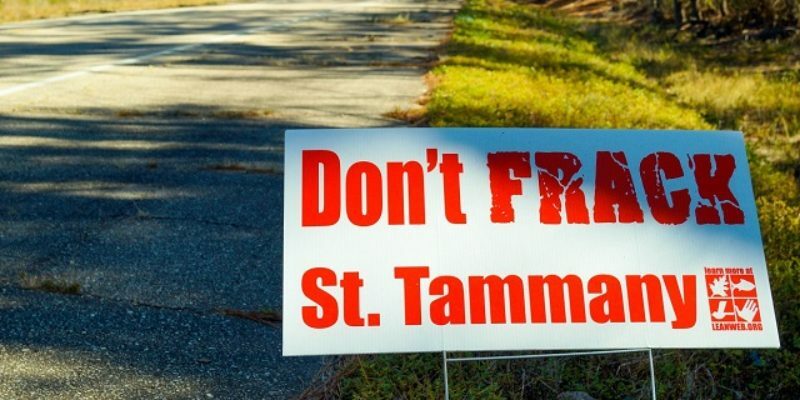 Falconer and the St. Tammany Parish government wasn’t done pandering to the anti-fracking mob. They filed a lawsuit against Helis and the state over the permit. Last year, Falconer was the chairman of the St. Tammany Parish Council. Many observers of the St. Tammany Parish council have criticized Falconer’s tenure. He has been described as one of the weakest members of the St. Tammany Parish Council. Falconer has already proven to be a weak leader in the way he has handled the anti-fracking mob in St. Tammany Parish. Baton Rouge already has many Republicans who campaign and fundraise as conservatives and govern as RINOs to appease Democrats, The Advocate, and The Times-Picayune. The last thing Louisiana needs is another spineless RINO serving in the legislature. *Disclosure: I worked on Tim Burns’s Congressional campaign in 2008.